Quorum Health Resources recently announced that The Memorial Hospital in Craig earned the distinction of the company's 2012 Best Performing Critical Access Hospital. From left to right: Robert A. Vento, QHR Senior Vice President, Operations; Bryan Chalmers, TMH Chief Financial Officer; George Rohrich, TMH Chief Executive Officer; James L. Horrar, QHR President and CEO. Craig — The Memorial Hospital received high honors from its hospital management company, Quorum Health Resources, earning the distinction of 2012 Best Performing Critical Access Hospital. According to a TMH news release issued last week, the award honored the Craig hospital over 65 other facilities managed by QHR. According to the news release, QHR CEO James L. Horrar attributed the honor to the hospital’s 23 percent growth in net patient revenue as well as the opening of three new services including a 24/7 hospitalist program, a cardiac rehabilitation program and a chemotherapy infusion clinic. TMH also increased its clinic visits by almost 50 percent from 2010 to 2011. Horrar also identified the fact that TMH was named one of the 100 Best Places to work in Healthcare by Becker’s Hospital Review, and that the hospital’s net patient revenue growth was the highest in the company at 23 percent from 2010 to 2011. TMH chief operating officer George Rohrich said in the news release that the honor is a testament to the hospital staff’s commitment. QHR has managed TMH for 25 years. 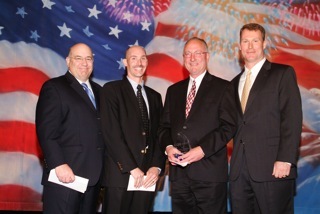 In 2011, QHR honored TMH with an award for the largest growth in net patient revenue.